In one of our earlier blog posts (here) we already wrote about the danger of sitting behind the wheel after drinking alcohol, being too tired or typing messages while driving. For this reason we explore the topic from a different direction: the most important traffic regulations. Author budgetjournalPosted on February 27, 2017 February 27, 2017 Tags avoid, best cars, blog, budget, cars, choosing, company, decision, drive, driver, efficient, family, feeling, health, introduction, life, live, long life, movies, reasons, rent, rental cars, responsible, risk, safely, scenes, travel, versusLeave a comment on Drive responsibly- part 2. If you are planning to go for a trip, for example to Budapest, you might also want to see some other cities in Hungary which are close to it. So what is the first thing that you will do? You will book a car because you have learned that from us there is no penalty for cancelling your reservation J. So don’t be afraid! Of course it is not the nicest thing to do with us but we cannot do anything about it. It is only up to you! But I think you should keep your map widely open and why should you just go to one city if you can go to two or more with a rented car! 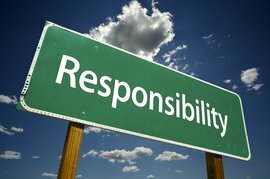 There is not enough talk about responsible driving. Despite the fact that zero tolerance was introduced ten years ago there are still many accidents that are caused by inattentive or slow drivers who drank alcohol before they got behind the wheel. After drinking booze driving is only recommended when the amount of consumed spirits the night before did not exceed 50 ml and the alcohol had enough time to break down in our body. Due to the effects of alcohol our reaction time increases significantly and our sense of responsibility decreases, and as a result the risk of accidents gets much higher. 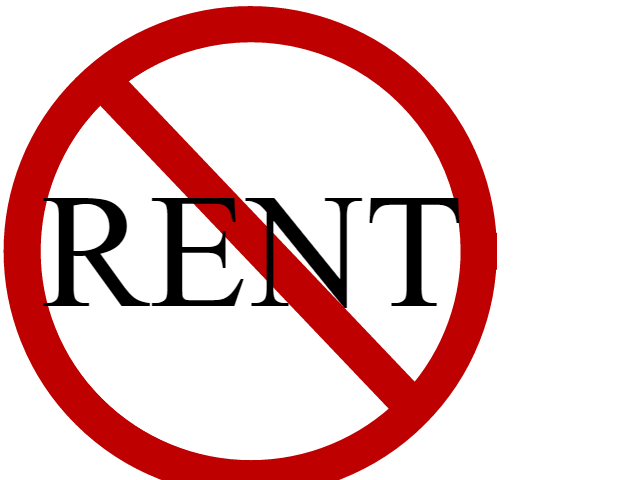 When and why you should rent a car? There are some situations in life when the best solution is to rent a car. Automobile renting has many advantages; either we need it because of our business or personal goals. Long term lease is recommended for companies, short term rental is recommended for private usage. Author budgetjournalPosted on February 6, 2017 February 6, 2017 Tags avoid, best cars, blog, budget, cars, choosing, decision, family, leasing, owning, reasons, rental cars, renting, travel, vacation, versusLeave a comment on When and why you should rent a car? In this blog post we are going to give you a list about Badass cars from famous and well known movies from 80’s – 90’s which became famous maybe because of the cars in the movies or the owners of the cars in the movies. We are trying to focus on the most badass car with the most badass owner, let’s see if you agree with us or not. Is there anyone who doesn’t know the DeLorean from the Back to the Future trilogy? On the first the car is interesting and unusual with its gull-wing doors which opens to the sky and becomes famous with its best function that it can make time travel really simple. This car is now a reality of course not the time travelling function but the film fans has built many cars which looks and functions the same way. Of course it is hard to see them on the road while travelling to Budapest. Advantage: You can travel in time. Disadvantage: You can if there is thunder so that’s the disadvantage. Also there is the great series called Magnum from the 80’s. In the series, the character Thomas Sullivan Magnum whose performed by Tom Select had a Ferrari 308 GTSi. On these days in Hawaii everybody has dreamed of a red sports Ferrari (but I bet nobody would be sad if she/he somehow got one, even today). The car didn’t belong to Magnum in the series he “rented” it from Robin Masters. A few of us knows the fact, there has been a dark green Ferrari in the series as well which belonged to Robin Masters also but it has appeared for only one episode. Advantage: Cariboo, you can enjoy the sunshine of Hawaii while driving with a cool pair of Sunglasses! Disadvantage: You always have to rent it from Robin Masters. In the first episode of Fast & Furious movie series Vin Diesel owned a 1970 Dodge. The steroid added 1970 Dodge has 9,4 liters’ twin turbo V8 motor performs with 2000 horsepower. There was a reason why Vin Diesel quoted in the movie „this monster has never seen a set of tail lights!”. When we compare that car to the 4th place Ferrari we can easily see that it has a totally different effect. The car is a incarnate threat of coolness. Vin Diesel’s character in the movie made it more badass as well which makes the car even cooler! Advantage: Pick-up, cool and buffalo strong! Disadvantage: You need to 45cm biceps to look good in it. Every guy has wished to be an owner of that car in the 80’s. KIT wasn’t just an indestructible car, he also knew how to speak. According to the story the Knight Industries Two Thousand is an Artificial Intelligence system which can easily think by itself. Also, when David Hasselhoff used to have great days his character and his friendship with KIT was a great additional to the series. The series were popular for years and you can still watch the old episodes on cable TV. It has same fame with the DeLorean in the circle of fans and fan clubs. Advantage: Indestructible, Amazingly Fast and you can talk with it. Disadvantage: In the story the Artificial Intelligence haven’t lead the story to a good way. Batman’s first car appeared for the first time in DC Comic’s Batman series in 1939, much more before the first film. Everybody knows that Batman doesn’t have any super powers such as flying, teleporting, super speed etc. so he needs a cool vehicle which delivers him from point A to point B. There were many types and styles of Batmobiles. In the 60’s there was one Cariboo version of the Batmobiles but the audience didn’t like it so much. In the new Batman movies, the Batmobile was similar to a Tank rather than a car. That’s why our Batmobile choice is from the 1989 Tim Burton movie. It was elegant, cool and fast which is more likely to Batman’s character in the movies. Advantage: This is a BATMOBILE! Disadvantage: There are no Disadvantages, this is a Batmobile! Also, there are many other great cars in great or not so great movies which could be in our list. If you think we have forgotten some of them, please comment below! This happens to many people and in the beginning it is pretty acceptable. However, thanks to the internet, nobody is a beginner anymore. The internet gives you “correct” information and reviews about everything. Also, for the rent a car business, the reservation motor is really simple to use and handle. Also, because the market is so huge, nobody provides you with bad information and you usually won’t pay more for anything. However, there are some services which you can only buy if you are physically there. We are really sure that, in Budget, we provide you the service that we promised and what you reserved. Everybody shops online and they can almost buy everything. But the real problem comes when you buy online something for the first time in your life which is a really common object/service for other people to buy but not for you. In that time, you are usually not aware of the prices and the market so you can easily got screwed from the seller’s side, by not sending the right product/service or by paying too much for it. Common pages can be really helpful in this times because it compares all of the brands and it help you to have an idea about a service or product. When you make a decision about the brand, it is really useful to check the decided brand’s website also because on their site they usually give more discounts. Sometimes these common websites don’t realize these discounts or the special offers the companies have adverted on their website. I don’t know the whole market but I know that in the car rental industry we really appreciate the people who make the reservation on our page. This is Budget Hungarys offical english blog site. Follow us and enjoy the content! Budget Journal Blog at WordPress.com.